MP Vyapam Recruitment 2018 - Apply Online for 5670 Middle School Teacher Posts in School Education Department, Madhya Pradesh. Online Applications are invited by MP Vyapam - Madhya Pradesh Professional Examination Board (MPPEB) from 28 Sep 2018 to 12 Oct 2018 (Extended till 30 Oct 2018) for 5670 vacancies. MP Vyapam Middle School Teacher 2018 Model Answer Key 2019: MP Vyapam - Madhya Pradesh Professional Examination Board (MPPEB) has issued the Answer Key on 16 Mar 2019 for MP Vyapam Middle School Teacher Exam 2019. Answer Key can be accessed from the link given below. 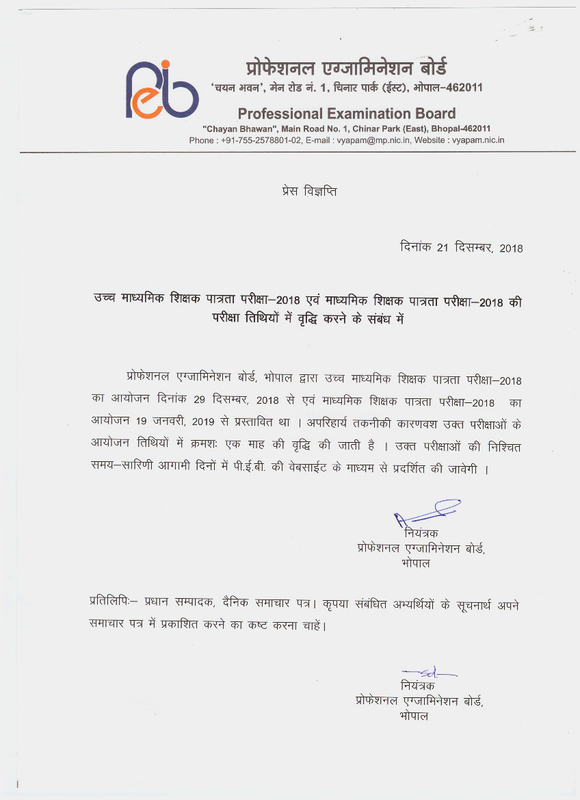 MP Vyapam Middle School Teacher New Exam Dates 2019: MP Vyapam - Madhya Pradesh Professional Examination Board (MPPEB) has announced the New Exam Dates of Middle School Teacher will be held from 16 Feb 2019. to 10 Mar 2019. Graduate Degree in relevant Discipline with 02 years Diploma of Primary education. Bachelor Degree with a minimum of 50% marks in the subject and 01-year graduate degree in education (B.Ed.). Higher Secondary or its equivalent with at least 50% marks and a four-year bachelor (B.L. Ed). On the basis of Online Exam. Eligible candidates may apply online at MP Vyapam's website (direct link is given below) from 28 Sep 2018 to 30 Oct 2018. Read the information carefully & Click on "Apply". MP Pre Veterinary and Fisheries Test 2019 - Apply Online for MP Pre Veterinary and Fisheries Test 2019 in Madhya Pradesh. 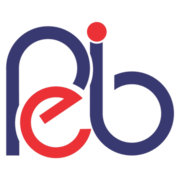 Online Applications are invited by MP Vyapam - Madhya Pradesh Professional Examination Board (MPPEB) from 16 Apr 2019 and Examination to be held on 26 May 2019 to 30 Apr 2019 for 201 vacancies. MP Vyapam DAHET Exam 2019 - Apply Online for MP DAHET 2019 in Madhya Pradesh. Online Applications are invited by MP Vyapam - Madhya Pradesh Professional Examination Board (MPPEB) from 16 Apr 2019 to 30 Apr 2019 and Examination to be held on 26 May 2019 for 300 vacancies. MP PPT 2019 - Apply Online for MP PPT 2019 for Admission to various Diploma Courses, Madhya Pradesh. Online Applications are invited by MP Vyapam - Madhya Pradesh Professional Examination Board (MPPEB) from 02 Apr 2019 to 27 Apr 2019.